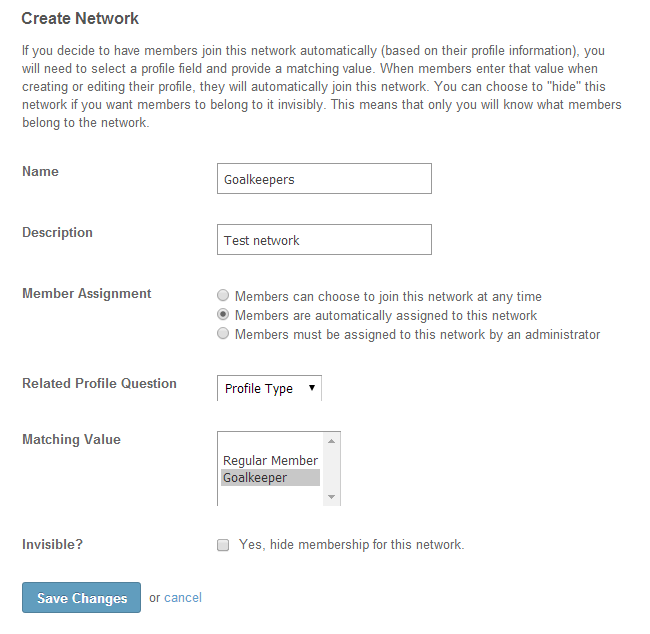 This tutorial will review the networks management on your SocialEngine website. The use of networks only determines the news your users will see in their What’s New feed. For example, if you create a network called Europe on your website, the users within this network will be able to see news related to it. To complete any of the tasks that we will review below, you first need to access the administrative area of your SocialEngine website. To create a new network, you need to locate the Manage tab on the main menu and then Networks. Click on the Add Network button to create one. To edit a network on your website you need to access the Networks section from the administrative area again. You will be presented with a list of all networks on your website. Next to each one of them, you will notice an Edit button. Click on the edit button next to the network that you wish to change. The removal of a network may be necessary if you have made a mistake with it’s configuration or you simply do not need it on your website anymore. First, you need to bring up the network screen of your website. You will notice a Delete button next to each network on your website. Simply click on the one that you wish to remove.